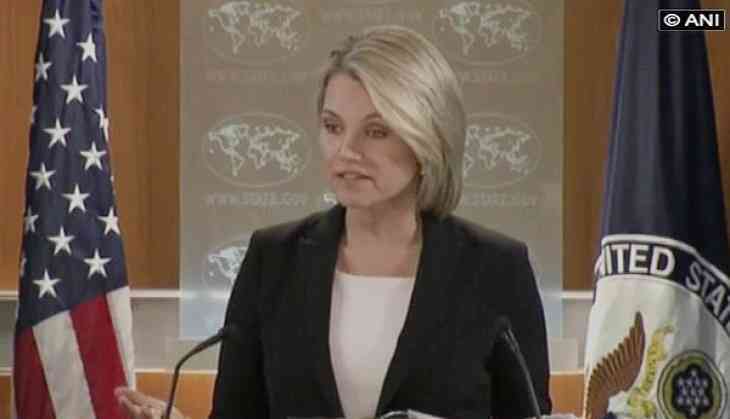 The United States State Department Spokesperson Heather Nauert, in a statement, said that the US firmly backs Saudi Arabia in defending their borders against continued threats from Houthi missiles. "The United States strongly condemns yesterday's Houthi missile launch directed at Riyadh. These actions only exacerbate the conflict in Yemen and deepen mistrust. We stand firmly with our Saudi partners in defending their borders against these continued threats. We continue to urge all parties to work with UN Special Envoy Martin Griffiths toward a political settlement and an end to the conflict in Yemen," Al Arabiya quoted Nauret's statement as saying. The statement comes a day after Houthi militias fired two ballistic missiles over the skies of Riyadh. The Saudi air defence intercepted the missiles. The Houthis officially called Ansar Allah or Supporters of God, are members of an Islamic religious-political-armed movement that emerged from Sa'dah in northern Yemen in the 1990s. Houthis are of the Zaidi sect, and are predominantly Shia-led, though the movement reportedly also includes Sunnis.